Go upstairs and check that on Rack #8 the Remote Switch Control Panel shows the chosen receiver is "on". The 20cm MB is switch #8 and it should be in the down position (ignore the green LED). The 1050cm receiver is switch #1 an it should be in the up position with the green LED on. On the PKMC program click "show" on the Multibeam and 10-50 receivers. 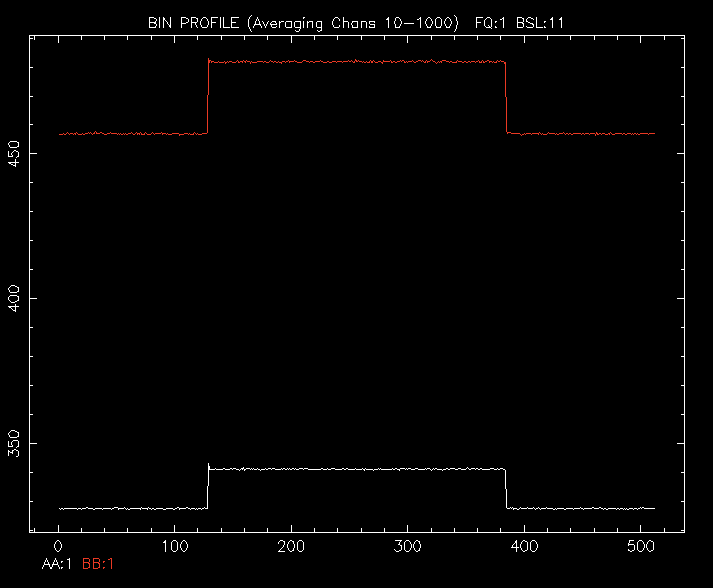 Turn the required receiver's LNA's on (and the other's off). Check that the Cal controls are on active. Check the CAL CONTROL UNIT (CCU) upstairs that the CCU is set to "remote". Then from the PKMC GUI "show" the CCU display. On a bourbon window, start a web browser and load "http://apsr-srv0.atnf.csiro.au/apsr"
On a bourbon window, start a web browser and load "http://caspsr-srv0.atnf.csiro.au/caspsr"
Up to three separate instances of TCS can be run in parallel - a main TCS and two alt TCSs. Each must be run on a different processor, normally pisces (main), pavo and sagitta for the alt TCSs. We are now using the current version of TCS which automatically sets up the required receiver and backend configuration. connect to the relevant PDFB (normally PDFB3). Make sure that Fold mode is selected. select the relevant schedule in the P456 directory (under Own), select View and enter the required start and end lines. To setup an alternate TCS for simultaneous observation with another, primary TCS. Then continue as normal, being sure to select a schedule for the alternate TCS, for example P456_MB_PDFB4A.sch (note the "A" for alternate). Note, it is important to have the "dummy" telescope systems started by "start_alt" running; otherwise file header parameters will be incorrect. Note that "start_alt" kills existing processes before restarting them. Then proceed as normal for an alternate TCS as above. Run the primary TCS on pisces running PDFB3, APSR and CASPSR. Alt TCS on pavo running PDFB4. Hydra files are similarly named, as hydra_P456_XXcm_DFBX.sch. Note: Before exiting TCS, switch off CASPSR. 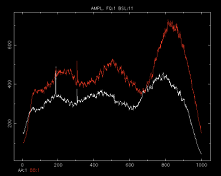 The pulsar folding is controlled by ephemerides which are accessed through psrcat -all -e. There is a link in /psr1/runtime/psrcat for obs99.db to /psr1/cvshome/pulsar/soft_atnf/psrcat/database/ppta.db. Apart from obscat.db, ppta.db is the last .db file accessed and so overrides all other .db files. The database file ppta.db is under cvs control from Epping. This produces the file PSRCAT in the local directory; this file is read by TCS to give the pulsar position etc. 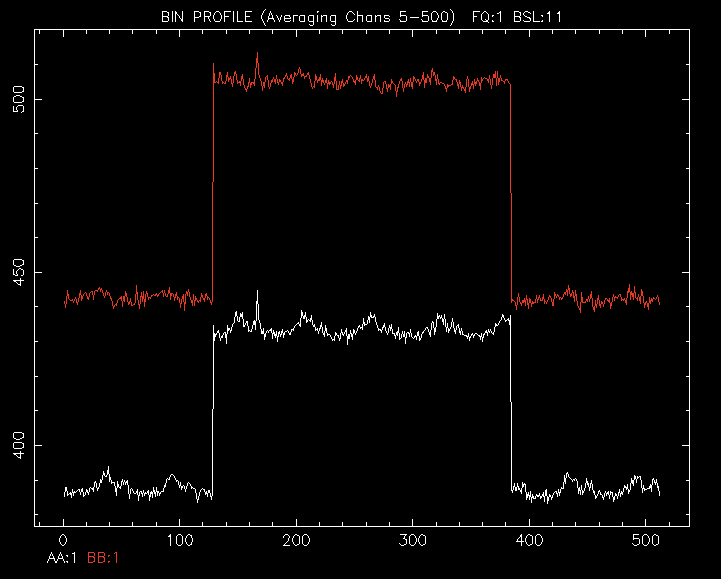 The .eph and .pred files actually used for the folding are stored in ~/tcs. They are updated each time an observation is started. You must then enter a passphrase to complete the update. It is important to monitor the observations as things can go wrong. 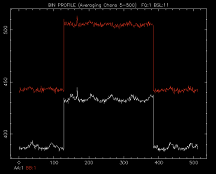 When starting a new observation, especially after a receiver change, use spd to check the receiver bandpass (a) and cal signal (sel pp11). Plots similar to those below should be seen. On the correlator control GUIs click on the "samplers" button and ensure that the RMS values are around 10.0 (between 9.0 and 12.0 is OK). Look for blue warning messages on the PDFB control GUIs. If there are more than than one or two isolated warnings, stop the observation, reconfigure and try again. If this fails, follow the trouble-shooting guide below. Look for red messages on TCS - something is seriously wrong! Ensure that the System Status on TCS is "RUNNING SCHED FILE"
Monitor operation of the PDFBs and APSR using http://pulseatparkes.atnf.csiro.au/dev/. 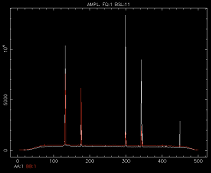 Check that APSR starts Preparing after startup and then Recording. 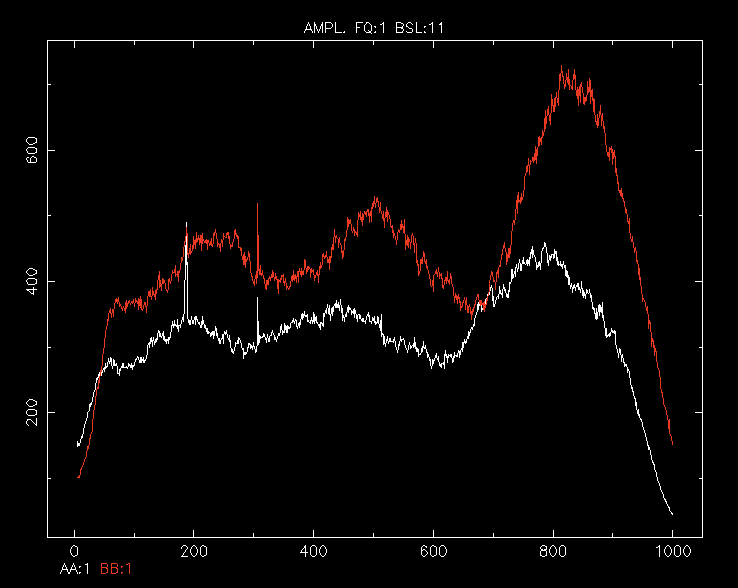 Especially for low-DM pulsars, check that the S/N after Tobs/8 is roughly as usual (see typical profiles after Tobs/8). 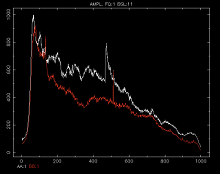 If the pulsar is in a scintillation null and the S/N is significantly less than usual (and not growing), kill the observation and come back later (after at least a couple of hours). The programme, PKMC is used to switch the receiver LNA's on and off. Then click on the SHOW button for the appropriate receiver (See Fig. 1a). When the receiver monitor and control GUI pops up (See Fig. 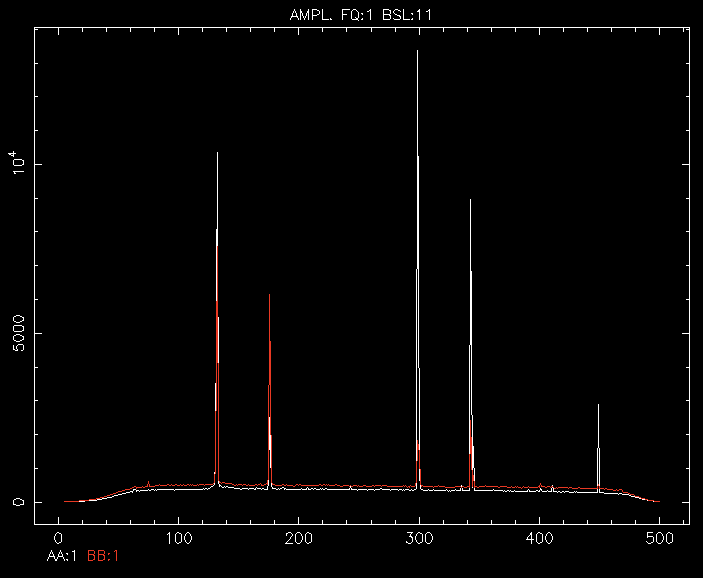 1b), turn on the LNA's by clicking on the four LNA buttons. When observing with the 1050cm receiver, be sure to turn the monitoring off, by clicking on the "monitor" button in the popup GUI. Turn it back on when not observing with it. NOTE: Red indicates that it is off and green indicates that it is on. From the PKMC GUI, click on the "show" button in the Cal Control Unit row. A popup window will appear that will allow you to control the CAL provided the CCU upstairs is set to "remote" first. Mixer I -> 6db pad -> BPF 96/T52 -> +10db+10db+10db+10db amplifiers (Rk 3) -> Variable atten (Rk 3) -> -11db coupler -> splitter => Spare Input Panel FC3/SP2 and FC4/SP2. To set the HP-2 synthesizer (to 828 MHz, +14dbm), run losetup/50cm_rfi.cmd. NB: This must be done AFTER running 3100+732.cmd. The spectrum analyser can be connected to the coupler, set to centre freq 96 MHz, BW 100 MHz, Resolution bw 300 kHz, Video resolution 3kHz. 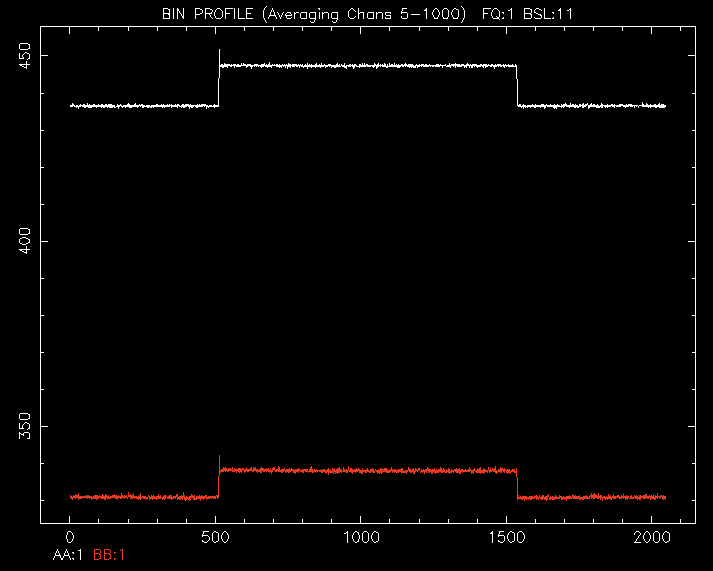 The central part of the bandpass should be around -56dbm and prominent RFI should be seen at 69.6 (758.4), 85.2 (742.8), 90.8 (737.2), 106.2 (721.8) and 111.8 (716.2) MHz. To activate the RFI mitigation system on PDFB3, switch RFI on. 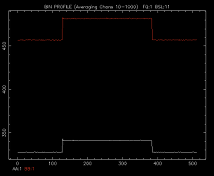 Normally Timescale = 0.001 and Loop gain = 0.1. These can be set from the schedule line. Add all trouble shooting tips here. 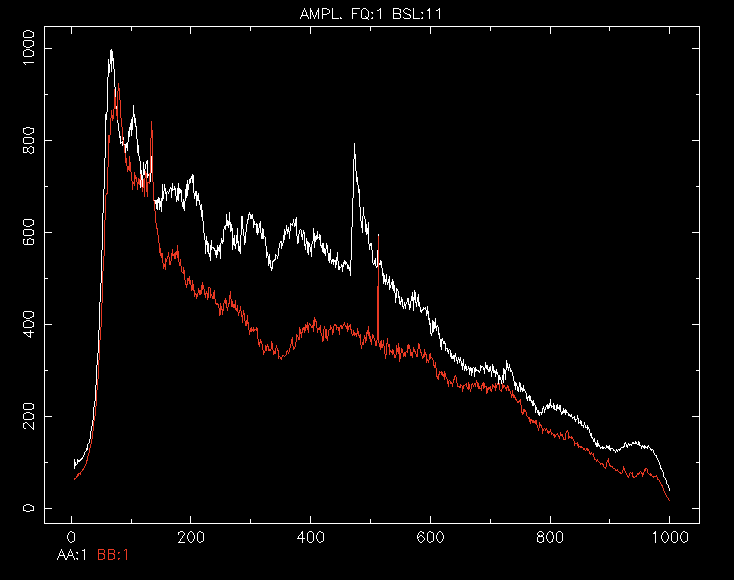 If the PDFB exhibits problems during observing, then try clicking on the "config" button first. If the configuration fails, then in the popup config-window that appears, type ENTER then "prog" to configure it again. change to a different configuration, reconfigure, then go back to the troublesome one and try again. It this fails, then power cycle the relevant PDFB. The power switch is at the rear of the unit. Turn it off, wait for 10 sec and then turn it on again. 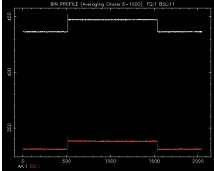 Then reboot both l-bcc06 and l-bcc11 and do bcckill and corkill as above. As a last resort reboot or power cycle the pkccc machine.